With Captain Marvel and Endgame right around the corner, Marvel's galactic one-two punch is looking poised to set up the next chapter of the MCU with a bang. Captain Marvel also promises to introduce a player to the MCU that could make the current Avengers lineup look a high school soccer league with Lionel Messi in at striker. After all, there's a lot of over-powered comic book lore in the history of Captain Marvel — a.k.a. Miss Marvel, a.k.a. Carol Danvers — that the studio could choose to infuse into their cinematic representation. Naturally, there's a great deal of speculation and theorizing regarding how the MCU's first female lead will have her story told onscreen, how her origin will play out, and just how all of it will fit into the Avengers story arc — an arc that desperately needs her help, now that Thanos has wiped out half the life in the universe. 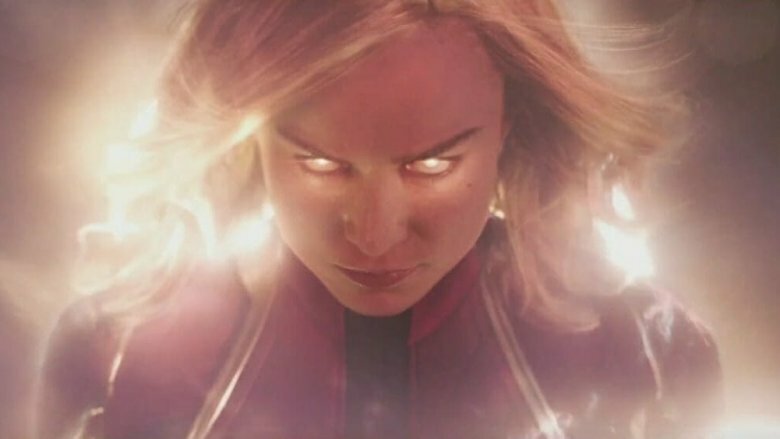 With all that in mind, here's a look at some of the best fan theories that have arisen regarding Captain Marvel and her upcoming adventures. It's no secret that much of Captain Marvel is going to take place in the 1990s, placing the film squarely before the bulk of the other MCU movies. However, one Reddit theory attempts to explain how exactly we end up with an adult Carol Danvers in the 1990s, and the answer isn't that she was born in the '60s or '70s. The theory postulates that Danvers was actually born in 1987. 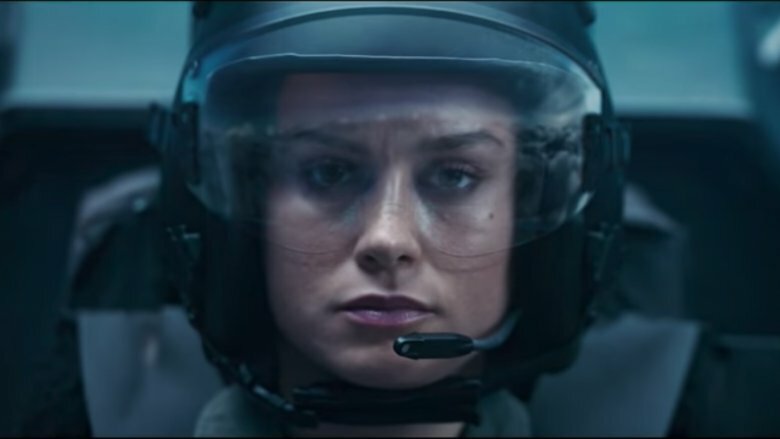 From there she grew up in an MCU world where she succeeded in her career as a fighter pilot under James "War Machine" Rhodes' personal command. 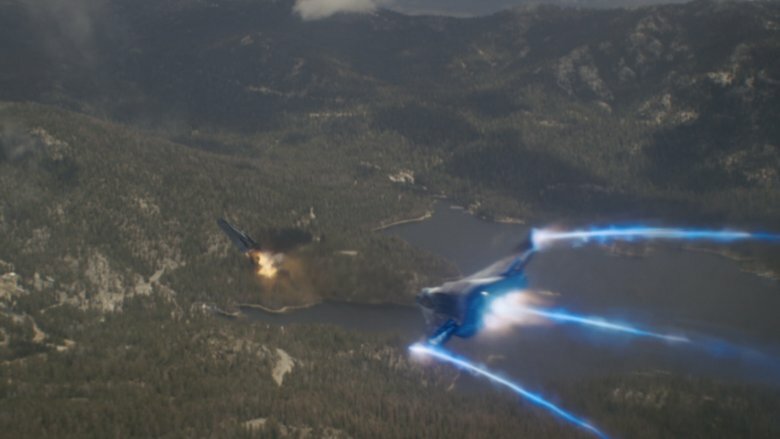 During Infinity War, Danvers was scooped up into the Quantum Realm when she flew over Scott Lang's van on the rooftop. The event sent her back in time and space to the Kree Empire, where her solo film will take place. At that point, she'll relearn who she is, gain new powers, and ultimately end up back on Earth. Realizing that she's a danger to her own existence, she'll leave Nick Fury with the pager we saw in Infinity War's post-credits scene and hop out of the picture, ready to return after the snap. The theory is bold, but not out of the question. It would line up with Ant-Man and the Wasp's end credit scene — and explain Danvers' long disappearance from earth. Ever since Infinity War wrapped up, Marvel fans have been wondering how Nick Fury got the pager he used to summon Captain Marvel… and knew when to use it. Especially since he hadn't done so during several quite dangerous events like the Battle of New York or the incident in Sokovia. 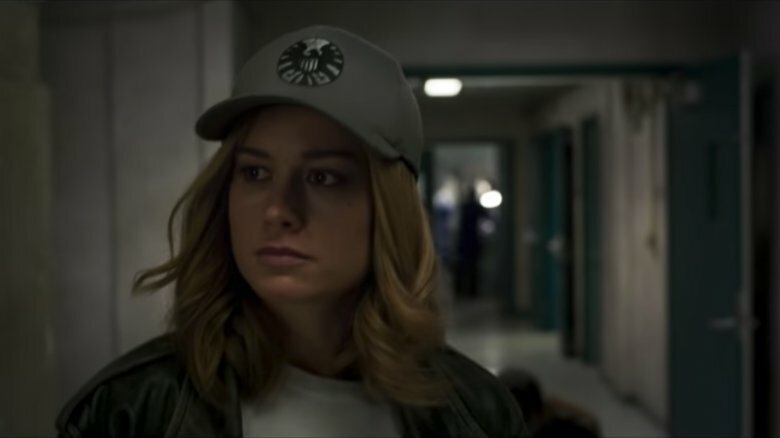 Another theory addresses this with an eye toward Captain Marvel's '90s setting, suggesting that in her solo adventure, Danvers will actually be from the future. In this case, once she gets her powers, she'll purposely head back in time to the '90s with the intention of warning Fury, only she'll end up with memory loss. From there she'll embark on a new adventure until her memory is restored and she ends up telling Fury of all the upcoming, universe-shattering events. This one might sound like a stretch, but the fact that Samuel L. Jackson himself has gone on record as saying that Captain Marvel counts time travel among her powers makes the scenario at least plausible. Another theory posted a while back suggested a complicated scenario for how Avengers: Endgame will play out, with Tony Stark's J.A.R.V.I.S. and B.A.R.F. technologies playing crucial roles in fixing Thanos' snap. However, in the middle of that convoluted explanation, there's a critical piece of the puzzle that involves Carol Danvers' character development in her solo film. The theory suggests that rather than literally wiping out half of the universe, Thanos' actions at the end of Infinity War actually split the universe into two separate, parallel universes. Rather than simply rewinding the clock, an event that seems to be far too easy of a solution — especially for co-directors the Russo brothers, who are promising that the stakes have never been higher — this would allow the Avengers to attempt to rejoin the splintered halves. But of course, this would require someone with an inordinate amount of power to pull off. Someone like Captain Marvel, perhaps? The theory predicts that Carol Danvers will be set up in Captain Marvel as a superhero with just the right set of skills and abilities to wield a new Infinity Gauntlet and use it to heal a tattered galaxy. In the comics, Carol Danvers first gained her powers during an accident that involved a device, called the Psyche-Magnitron, which exploded and caused her DNA to become infused with that of the Kree hero Mar-Vell. While this is certainly a possible route that the silver screen version of the hero could take, the MCU doesn't always play by the same rules as the comics. 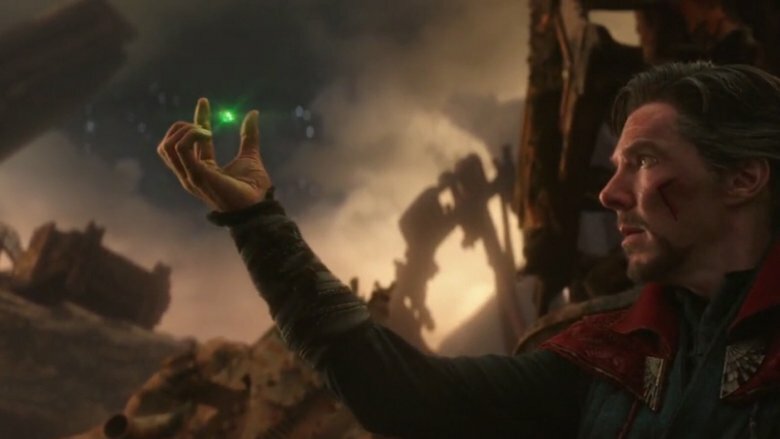 As an alternative, this theory suggests that it isn't an alien device but rather an Infinity Stone that will ultimately prove to be the source of her transformation. The theory ties in the character played by Jude Law, who is widely speculated to be either Mar-Vell or Yon-Rogg, both of whom are involved in Captain Marvel's transformative moment in the comics. It also calls to our attention a pretty blue and white light that could be none other than the Tesseract or Space Stone, which possesses an incredible amount of energy. 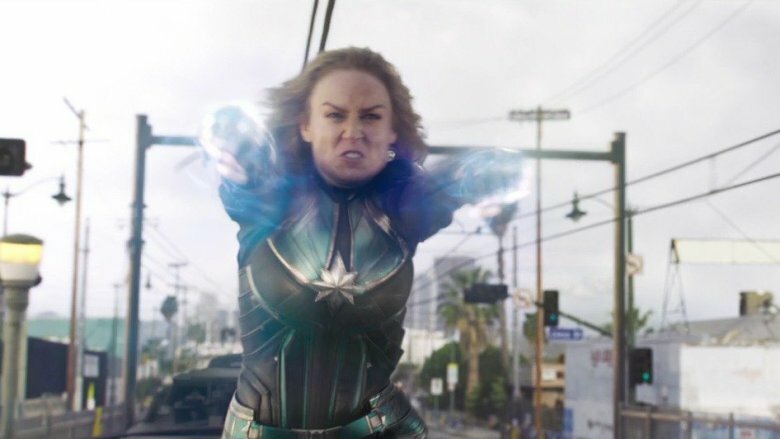 While it's perfectly conceivable that an alien device could be manufactured for Carol Danvers' evolution into Captain Marvel, swapping in one of the Infinity Stones would certainly be an interesting nod to a part of the MCU that has been thoroughly woven into the first three phases of its existence. Ah, Nick Fury. Everyone's favorite director of S.H.I.E.L.D. is certainly going to make a splash as one of the chief supporting characters at Carol Danvers' side throughout her MCU debut. In fact, the more we see of him in each trailer, the more agent Fury appears to be getting his own character arc in the film. But while Fury's evolution into the future director of S.H.I.E.L.D. and creator of the Avengers will be fascinating to watch, there's one burning question that everyone wants to see answered: how the heck did he lose his eye? In Captain America: Winter Soldier, Fury quipped that the "last time I trusted someone, I lost an eye." Who did he trust? Was it Danvers? Agent Coulson? Mar-Vell? Goose? One relatively simple theory has another idea, suggesting he'll end up losing it to a Skrull. Seems plausible enough, but there's another theory that might be even more intriguing — what if it's none other than Carol Danvers who ends up being responsible for that iconic eye patch, bringing the injury about — either willingly or accidentally — during the heroic duo's Skrull-stopping adventures in Captain Marvel? Captain Marvel is going to have a special significance in the sense that it will be the first film to openly feature the classic Marvel villains the Skrulls, a shape-shifting alien race hellbent on conquest and known for using their ability to impersonate anyone to infiltrate societies from within. Naturally, since it became known we'd see the Skrulls in this film, there's been a ton of conjecture regarding whether any of the MCU characters we already know might secretly be alien invaders. Everyone and their mother has been accused of harboring hidden, shape-shifting malice, from high-profile names like Tony Stark and Odin all the way down to… well, mothers. 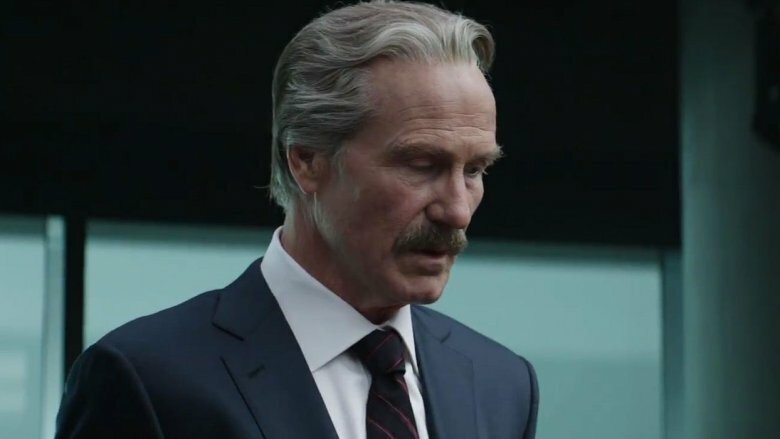 One Reddit user has hypothesized that the blustery General Thaddeus "Thunderbolt" Ross has been co-opted by an agent of evil. In the past, it's been pointed out that Ross' character changed dramatically between his military career in The Incredible Hulk and his role as Secretary of State in later movies. But this particular theory suggests that he's actually been a Skrull all along, and may have been after the Hulk's DNA in his early days specifically to help create an MCU equivalent of the Super-Skrull. If this theory proves true, it would be pretty impressive (and dangerous) for a Skrull to have made it all the way to the top tiers of leadership within the greatest superpower in the world. Hydra would be impressed. One of the big questions Captain Marvel will likely help settle is where Carol Danvers was during the first decade of the MCU. After all, it's fairly difficult to hide someone for a decade when they possess a set of powers that impressive. While one common belief is that she's simply been in a galaxy far far away fighting crime, or retired, or staying busy in some other way, one Reddit user had a different, and certainly more complicated, take on Danvers' absence. According to this theory, the key factor to most of the events throughout the history of the MCU thus far has revolved around the Infinity Stones, especially the Time Stone. Where Captain Marvel comes into the picture is through the fact that she isn't in the MCU at all until Thanos' decimating finger snap. Instead, the user suggests that the snap itself merged the timeline that Carol Danvers occupies with that of the MCU movies, bringing her into the picture and simultaneously explaining why she hadn't been around until that point. While it could possibly work, it would be a somewhat unwieldy way to introduce the concept of parallel universes into an already increasingly complicated franchise. 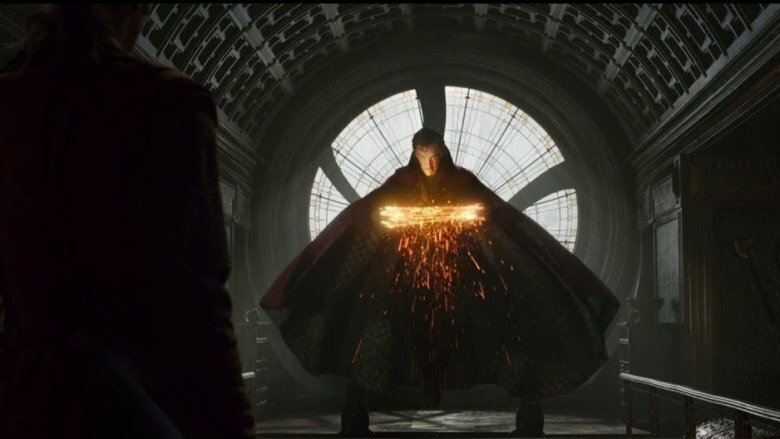 Since making his solo MCU debut, Dr. Stephen Strange has been in everyone's business. It turns out being the Master of the Mystic Arts and wielding the Time Stone is a combo that keeps you front and center. This has led some to believe that Strange himself is going to show up for a bit in Captain Marvel, and will be the one informing Agent Fury to hang on to that pager until just the right moment. Another, quite longer theory takes this concept a bit further, suggesting that Strange and possibly even Tony Stark could quite literally come walking into the Captain Marvel storyline. 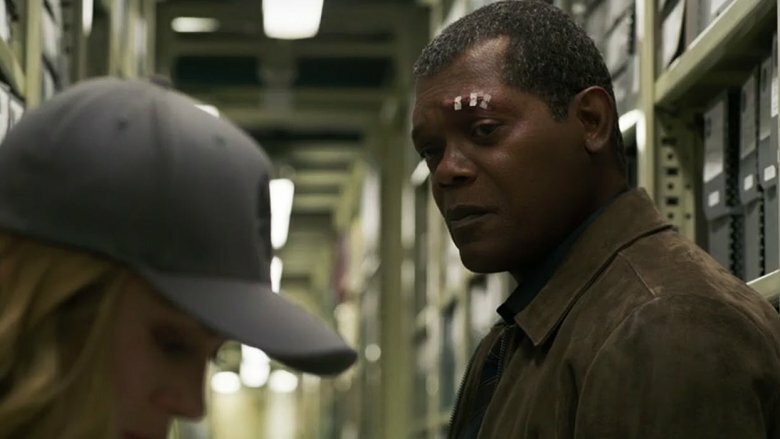 This theory suggests that the movie's '90s setting isn't just going to be helpful in creating Captain Marvel's character without impacting the rest of the MCU — it'll also be instrumental in underscoring a whole host of various events we've seen thus far, from Nick Fury being told everything he has to do to help defeat Thanos to Tony Stark needing to order the hit on his own parents. As our full article on the theory suggests, it would indeed bring an epic yet tragic angle to Danvers' potentially jam-packed origin story. 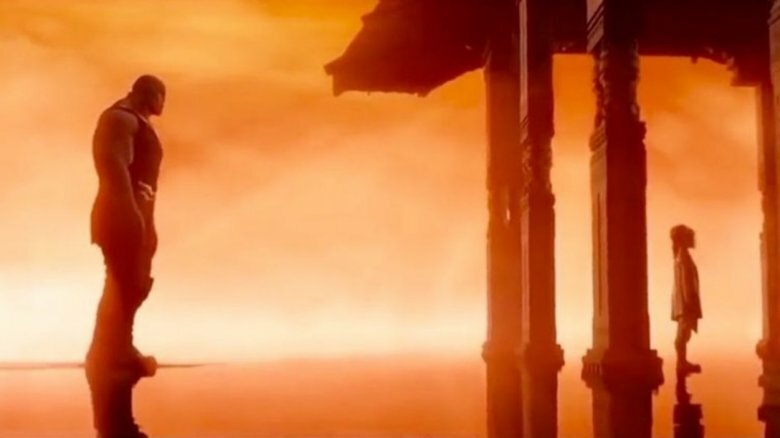 We all remember the moment in Infinity War when Doctor Strange started spazzing out on Titan as he used the Time Stone to peer into multiple timelines and ferret out the microscopic chance the Avengers had to defeat Thanos. According to one theory, he actually took a quick trip back to the '90s, filling in then-Agent Fury on the upcoming crisis. We've heard a variation on this theory before. But this version adds a twist, suggesting that when Strange heads back to his own time, he leaves the Time Stone behind in Fury's possession. Why would he do this? To allow Fury to experiment on it in an attempt to create a time machine. Fury would end the film by returning the Time Stone to the Doctor before stowing the time machine for safe keeping until the events of Avengers: Endgame. While the theory tends to stretch the imagination regarding how easily Strange would simply part with the stone he so zealously guards, he did, after all, give it up to the greatest villain of all when the occasion warranted the action. After that, leaving it behind in the '90s for a spell seems fair game. One theory, or set of theories, comes from Bustle writer Olivia Truffaut-Wong. On a more general note, she spends time suggesting some of the ways that we'll see more of the Kree, whose presence in the MCU until now has largely been glimpsed within the Agents of S.H.I.E.LD. series. What's more intriguing is her suggestion of how the Soul Stone and its longtime residence of Vormir could play into the mix. She points out that Vormir is within Kree territory, which makes it completely reasonable to expect to see more of the planet in Danvers' film. In addition to that, we may get more of a backstory regarding just how the Soul Stone came to be there, filling in a little bit more of the Infinity Stone picture. 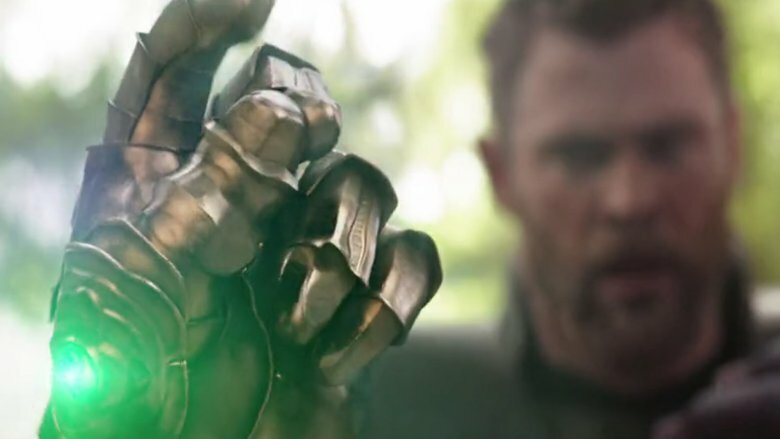 This is especially intriguing, as the Soul Stone has been a centerpiece for many Avengers: Endgame theories, suggesting, among other things, that those dusted at the end of Infinity War could be residing inside the Stone Thanos sacrificed everything to obtain. You can find me... in the Quantum Realm? We're all reasonably certain that the Quantum Realm will factor heavily into Avengers: Endgame, but according to one theory, it could also end up playing a part in Captain Marvel. which would simultaneously make it both one of the largest and smallest MCU movies to date. 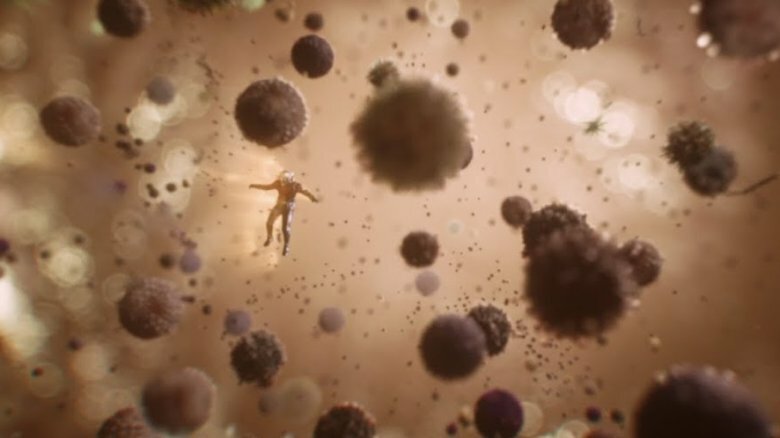 This theory suggests that along with Janet Van Dyne, Carol Danvers could also end up trapped in the Quantum Realm at the end of the film, where she'll eventually be freed by Ant-Man. While this theory doesn't seem to make much sense on the surface, it's actually not quite as far out as one might think. In the comics, Danvers has spent time in Limbo, a "pocket universe" outside of time, so visiting other dimensions isn't out of her scope of experience, and having her visit the Quantum Realm could actually make things less complicated. Rumors of the addition of Black Knight to the MCU canon also make this theory more intriguing. Last, but not least, ending Captain Marvel with a connection like that would allow the creators to tie together the Quantum Realm, Ant-Man, Carol Danvers, and time travel all into one, cohesive story that could have a dramatic impact on how Endgame plays out. Is it likely? Maybe not. Would it be pretty sweet? Perhaps.